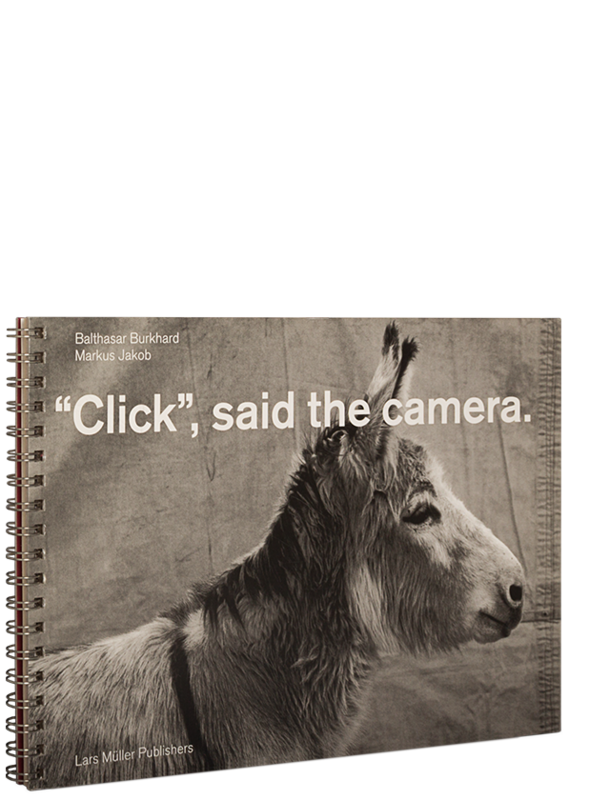 The limited special edition of the beloved children’s book “Click”, said the camera., first published in 1997, is available again. It features the book in its original size and an original photograph of two parrots by Balthasar Burkhard. The twenty animals meet for the photographer’s beauty contest. On Burkhard’s portraits all the animals are equally beautiful. The protagonist of the story is a shy donkey watching the cheerful activity. Markus Jakob describes the illustrious rendezvous with kind and humorous words. Balthasar Burkhard (1944–2010) was a Swiss photographer well-known for his large-format black-and-white photography. Markus Jakob (born 1954) writes features, reports, and miscellanea for various media. This special edition is signed and comes with a original photograph of two parrots by Balthasar Burkhard.